This article is part of our 2018 Shanghai Workshop Series #roadtoshanghai. The workshops are designed to prepare developers for the Global Pioneers Hackathon. Check out the first DCore Hackathon. Winners took home 20,000 DCT! 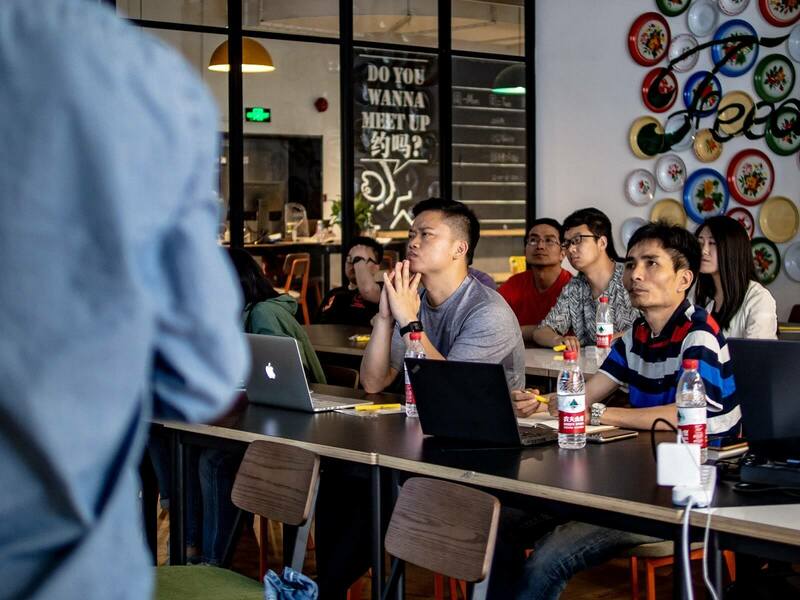 On one of the busiest Saturdays of the year, our Shanghai team hosted the first DECENT Workshop in China to get ready for the Shanghai installment of the Global Pioneers Hackathon, coming this September. This was the first of many we’ll host not just in China, but around the world. The main purpose of this workshop was to bring a more interactive and personal experience for our local DECENT community. Out of all the participants who came, over 60% were developers interested in how to use our technology. This makes sense, as this was a workshop focused on integrating our API’s with their product ideas. A simple, yet important tutorial. Through the afternoon, we had Jesse, Kai, BingQing and JiaWei present on everything from an introduction to DCore technology to a demonstration of our first dApp, ALAX. By showcasing ALAX, the participants got a real look at what a decentralized app on the DCore platform looks like. For them, this was a great opportunity to have hands-on experience before the September Hackathon. Hopefully, this event will allow each of our participants to develop the next great dApp like ALAX.